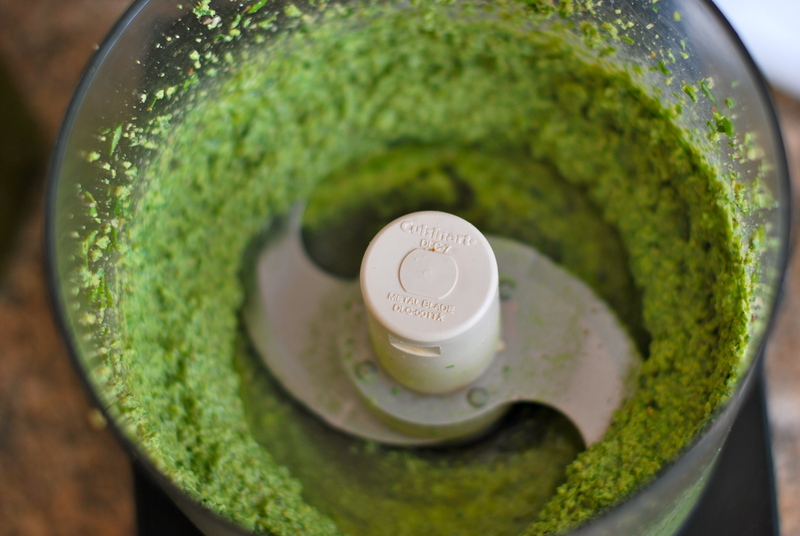 “Traditional Italian pesto is, of course, made strictly with basil, pine nuts, parmesan, garlic, and really good olive oil. It’s a classic sauce, no contest. 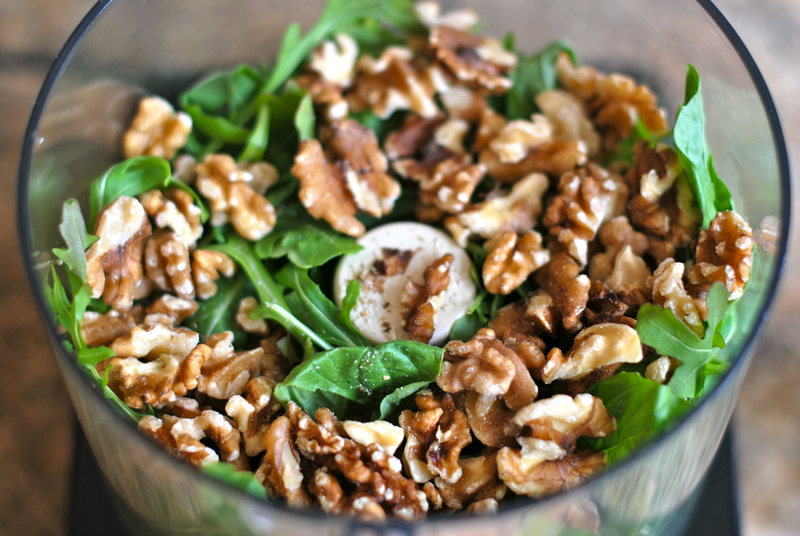 But you can switch out the basil for another handy herb or leafy green, replace the (crazy expensive, if delicious) pine nuts with a different favorite nut, or swap the parm for pecorino or asiago. Use more or less of anything to suit your tastes. 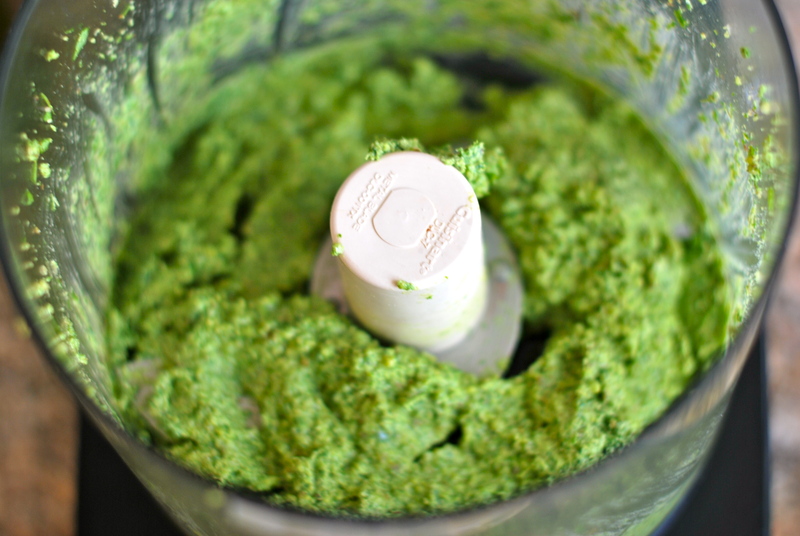 Heck, you can even make a lower-fat pesto by replacing some of the olive oil with ricotta cheese! 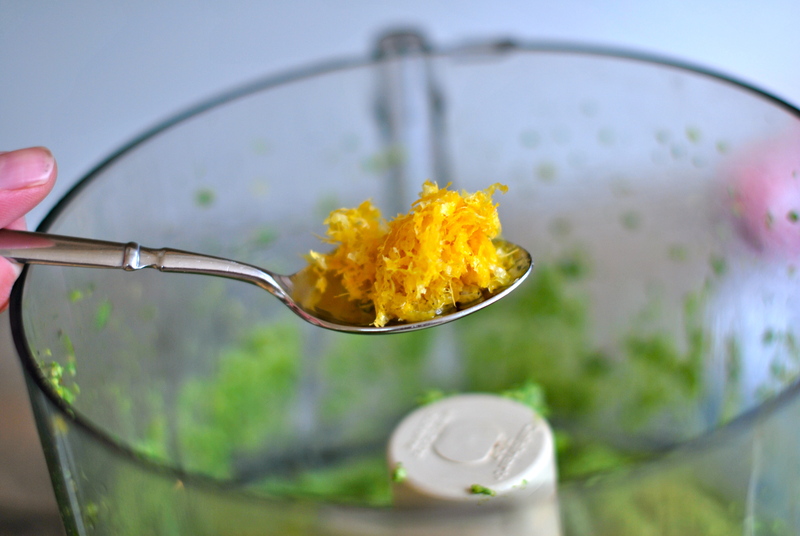 I tried two different varieties last week just to test out the versatility of this recipe. 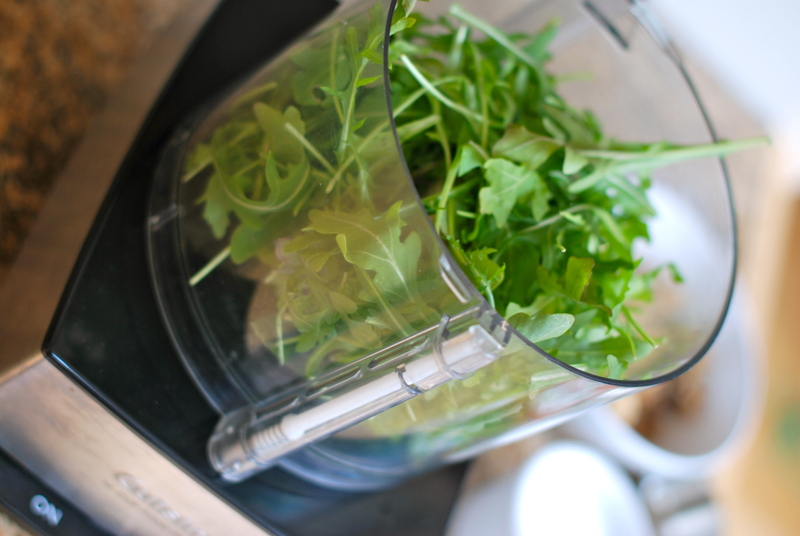 First up was arugula, and next was kale; both turned out beautifully. The two best things about this recipe were that I already had most of the ingredients in my pantry and it only dirtied one appliance. 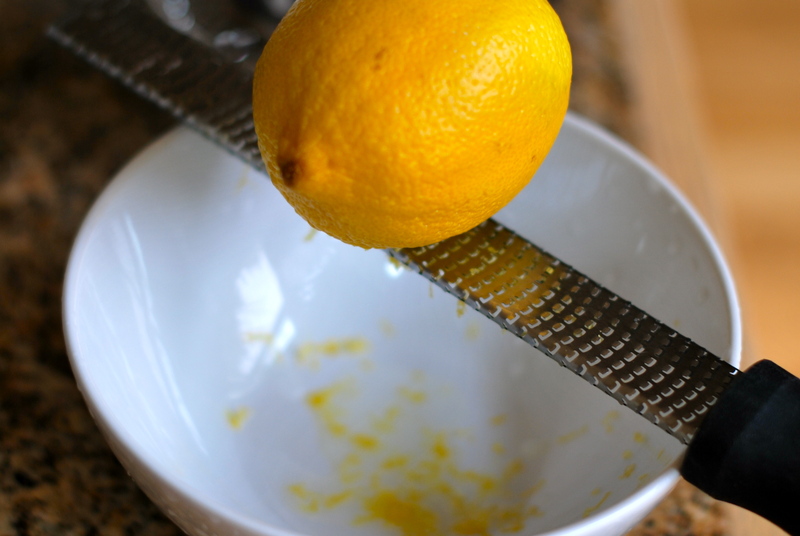 Since the recipe is made in the Cuisinart, it was super simple to throw together and also a quick clean up! 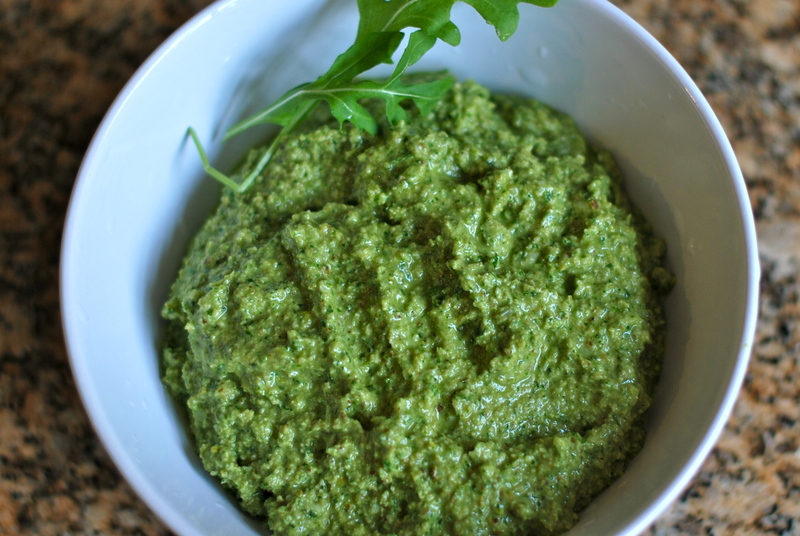 Like traditional pesto, these versions are great tossed with pasta, spread on a sandwich or bruschetta, or added by the spoonful to your favorite soup! The recipe I liked the looks of best was from My Homespun Home. It is delicious! 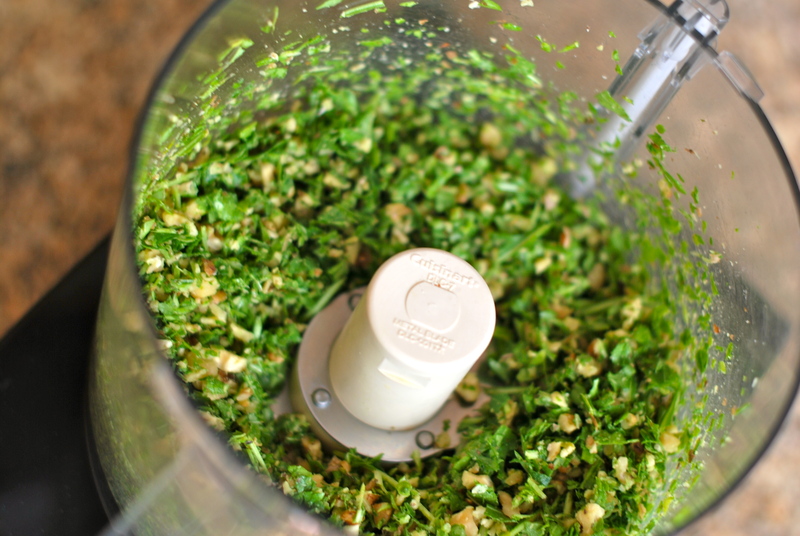 In a food processor, combine the arugula, basil, walnuts, and garlic. 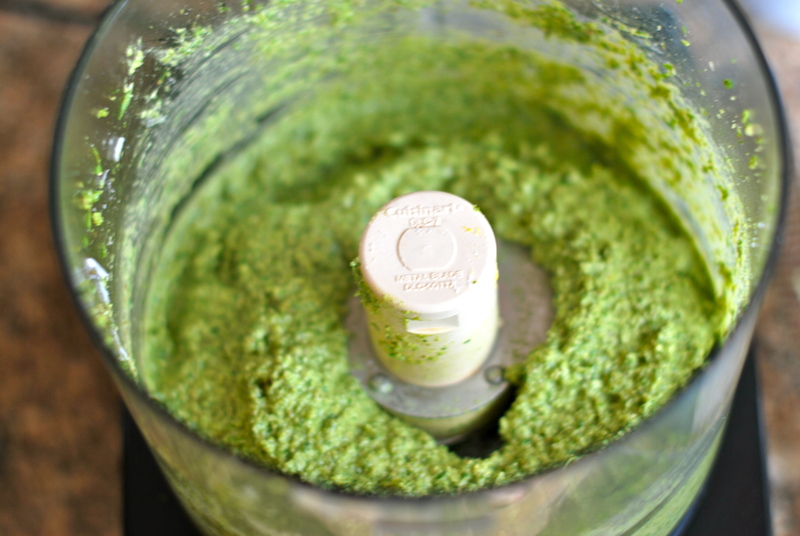 Blend until the mixture is a coarse paste, then slowly add in about half the olive oil as the machine is running. 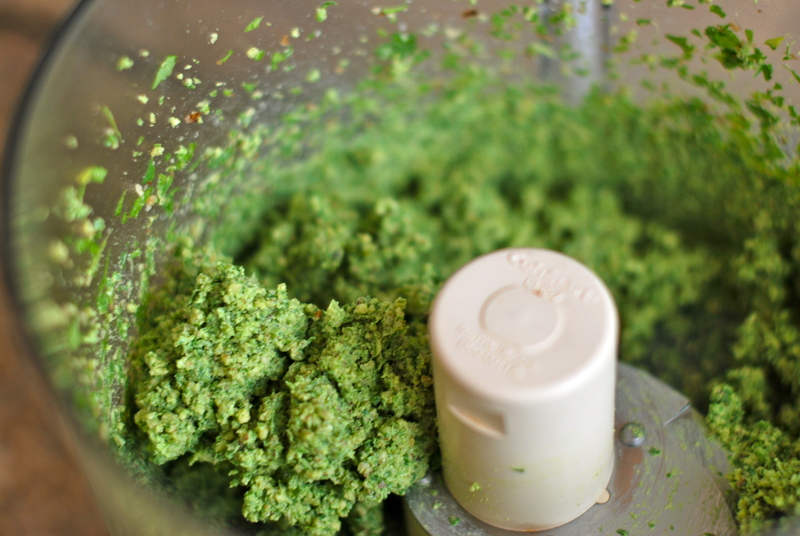 Stop, scrape down the sides of the bowl, add the cheese, lemon juice, and zest, and continue blending, adding the remaining oil until the pesto reaches your preferred consistency–I like it nicely spreadable and creamy. 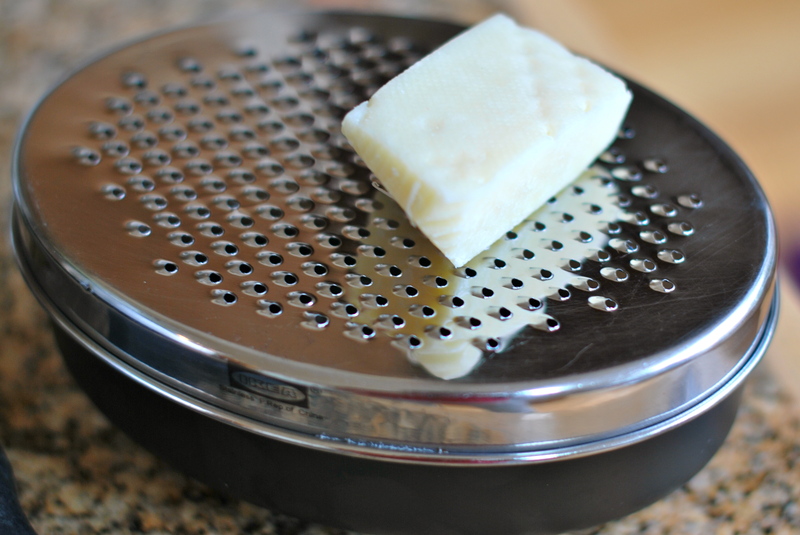 Depending on how salty your cheese is (and, honestly, how finely or coarsely it’s grated), you may need to add a pinch or two of salt at the end. Or more cheese. Everything is better with more cheese.